Procesadora La Hacienda of San Lorenzo, Puerto Rico, is recalling approximately 4,940 pounds of ready-to-eat corned beef. The recalled product, bearing establishment number “EST. 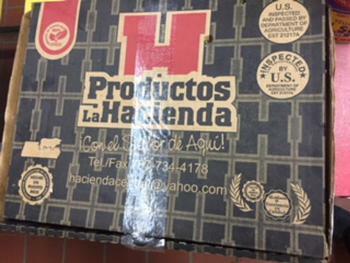 21217A” inside the USDA mark of inspection, was shipped to institutions in Puerto Rico. School nutrition professionals who have purchased these products should not prepare or consume them, but discard or return them to the place of purchase. Consumers with questions may contact Wilfredo Figueroa at (787) 612-7276.